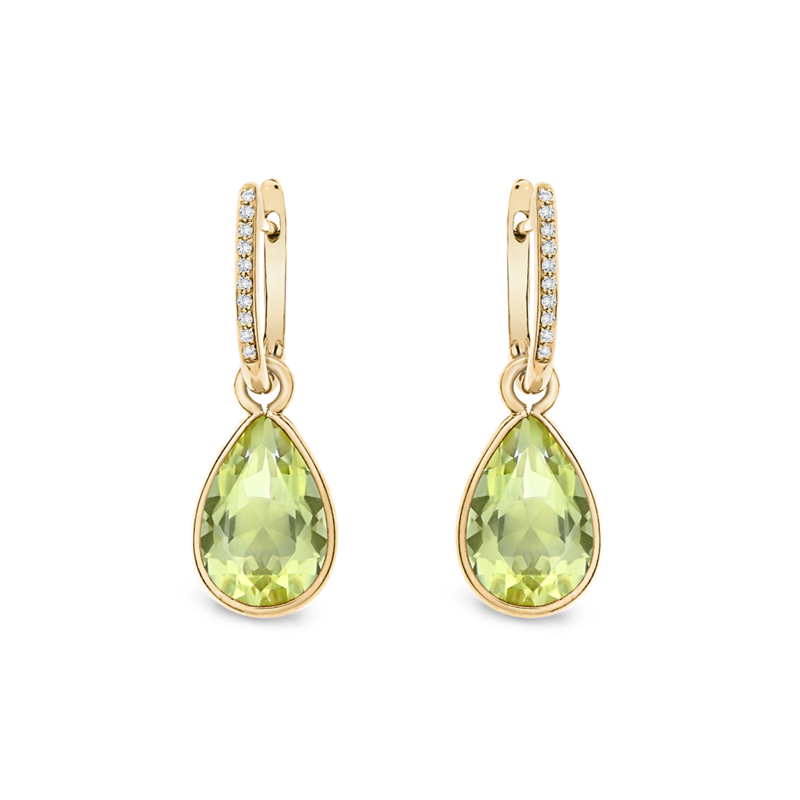 18ct yellow gold quartz drop earrings featuring round brilliant-cut diamonds in the clasp. All precious gem stones are hand selected for their optimum quality and appearance. 20 diamonds for a total of 0.16ct. Available in a range of coloured gem stones and 18ct white, yellow and rose gold or 950 platinum.